The franchising continues to grow, not only in size, but complexity—and in recent years, a huge part of that is attributable to multiunit, multi-concept franchising. Today one of every two franchise operators has more than one location. And really, why not? If the cookie-cutter approach works in one location it will most likely work in another, and another. In fact it really boils down to a simple numbers game: the more sales and revenue generated, the more profit potential there is. "There is a definite interest in growth through multi-concept operations," says Darrell Johnson, president of FRANdata. "It's continuing to expand and grow, and we see the trend continuing upward." One motivator propelling multi-concept growth is that more franchisors are specifically seeking franchisees with multi-unit experience. Denver-based Qdoba is one. "We have a core set of criteria that we look at when recruiting new franchisees," says Todd Owen, director of franchise development for Qdoba, which now has more than 400 units in 40 states. "Some of the things we look for are a proven track record, restaurant industry experience, and existing operations and structure." Those all are assets that can routinely be found in multiunit operators with other brands. Johnson agrees and says that's something he's witnessed in his industry observations and research. "Franchisors are more and more looking for, and often requiring, new franchisees to have more experience, which they have often gained from operating other brands." It's a highly competitive market out there says Johnson, and every advantage offers an edge. Furthermore, training and support costs are often lower for experienced franchisees—as is the risk of underperforming units for experienced operators. An increasing number of franchisors in a variety of industries are now exclusively selling, or prefer selling, development rights in multiple-unit packages. That's exactly Qdoba's strategy, says Owen. But franchisors aren't the only ones looking for the advantages and subsequent payoffs that result from multi-concept operations. Franchisees who have reached the limits of expansion within their territory are another reason for the rise in multi-concept franchising. "You can have only so many KFCs in a given area," says Johnson. If expansion-minded franchisees do not want to stray too far from their home territory, they must add other concepts or brands to keep growing. "We've absolutely picked up new franchisees that way," says Owen. For Qdoba, one reason for the effectiveness of selling franchises to operators of other brands is that these operators have the strength and ability to push and position the brand in new markets. "We're a new brand and we need a little TLC—franchisees with the know-how who will work extremely hard to build the brand's awareness in their territory," says Owen. The existing infrastructure of a multiunit franchisee allows them to more easily, rapidly, and successfully build out a new brand. Also, many franchisees are attracted by the diversification that can be created by owning two or more brands. An example of this thinking is the franchisee who concentrates on selling ice cream during the warm months and coffee during the colder ones. Some franchisors and franchisees say the brands need not necessarily complement one another. Brands having nothing to do with each other can be operated separately and successfully, sharing only such infrastructure as bookkeeping and the same IT equipment, for example. Thriving multiunit franchise operators typically have a high net worth, an understanding of local real estate knowledge and extensive contacts, and access to financing to get successful units open quickly. These are powerful assets to have—and part of the criteria Qdoba looks for when considering new franchisees. Another factor in the proliferation of multi-concept franchising is the growing number of franchise brands now housed under a single corporate roof. Yum! Brands (A&W, KFC, Long John Silver's, Pizza Hut, Taco Bell), Focus Brands (Carvel, Cinnabon, Schlotzsky's, Moe's Southwest Grill, Seattle's Best Coffee), and Service Brands International (Molly Maid, Mr. Handyman, 1-800-DryClean, and DUCTZ) are just three examples of the growing number of franchise "conglomerates" that provide one-stop shopping for franchisees seeking to go the multi-concept route. Even area representatives are involved in multi-concept franchising. The trend toward multi-concept ownership is likely to continue for some time, says Johnson. These more experienced, more sophisticated business builders typically can build faster, build stronger, and generate better margins. That's a hard combination to turn down. The brands most commonly represented for franchisees with more than one brand are: Yum! Brands, Wendy's, Sonic, Subway, Burger King, Denny's, Hardee's, Sonic, Qdoba, Arby's, Famouse Dave's, Panera Bread, Golden Corral, Ponderosa, Houlihan's, Bennigan's, Del Taco, Cinnabon, Popeye's, Regis Corp. (Procuts, Cost Cutter, Supercuts), Quiznos, Residence Inn and Courtyard Inns by Marriott. 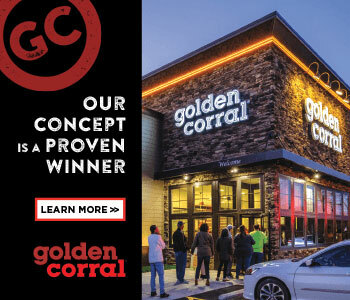 Restaurants, too, are a huge part of the move toward multi-concept advertising—not very surprising considering how many food brands there are in franchising. Further insight on the growing popularity of multi-concept franchising can be found in the Franchise Times "Monitor 200," the magazine's annual ranking of the top 200 restaurant franchisees (based on gross revenue). Slightly more than 50 percent of the franchisees listed in the 2007 report are franchisees of two or more brands. greater system-wide gross revenues (more units operating, more company stability, more prominent brand). 1) multiunit, multi-concept franchisees generally have more capital (or greater access to it), allowing them to buy into more expensive food sector franchises; 2) the food sector offers more brands with a long and successful history; and 3) the food sector has been hot, is hot, and looks to stay that way. Combine all that with the desire for higher system-wide revenue by experienced multi-unit owners, and you have a trend. That's where the money is. While those are some of the most obvious reasons we've come up with, there is another way to get the real scoop on what's going on with multiunit franchising in 2008: the operators and owners themselves. We recently caught up with some of them (which is not so easy—these are busy people!). What follows is a group of one-on-one profiles with five highly successful multiunit, multi-concept operators. Their insight, firsthand experience, and frank talk shed new light on this segment of the industry. How To Improve Prospect Contact Rates: Get in the (Time) Zone!